New advancements in 3D printing are giving manufacturers better options to improve efficiency. To save time and costs, companies are increasing utilization of 3D printing for jigs, figures, and creating parts in-house rather than outsourcing them to third-party manufacturers. Dynamism offers many of these leading edge 3D printers, with expert pre-sales advice, installation and training, and ongoing technical support. Customers can select printers that use different types of materials to create parts and products, depending on their needs. In metal printing (including jigs, fixtures, tools, or prototyping), Desktop Metal is leading a transformation. Its Studio System drastically decreases product development timelines, with rapid prototyping of metal parts. Its Production System portends a revolution in manufacturing. The Desktop Metal Studio System is currently being used by pioneer customers including, Google’s Advanced Technology and Products Group and the US Navy. Customers can reserve their own system today. In manufacturing, the upcoming Desktop Metal Production System will move mass production into the age of 3D printing. With that, designers and engineers will have more freedom to design new types of parts and features that are impossible with current manufacturing techniques. To help that transition, Desktop Metal has realized its remarkable (and imagination-inspiring) Live Parts software. Dynamism is a leading 3D printing solutions provider that helps customers integrate these 3D printing options into their businesses. 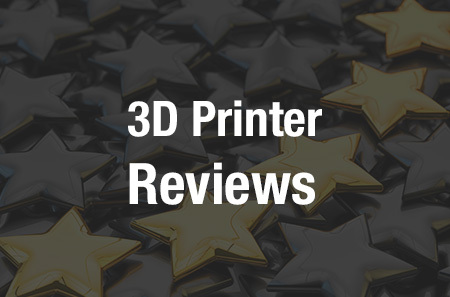 Many manufacturers have also found success with PLA, ABS, and Nylon printing. In Europe, Volkswagen Autoeuropa was able to cut its development of special parts down from 56 days to just 10 days by using the Ultimaker 3D printers to create tools, jigs, and fixtures for its Scirocco and Sharan model cars. The cost of production also dropped drastically, with parts that were typically outsourced for €800 being 3D printed in-house for just €21. Ultimaker has just released its latest flagship product, the Ultimaker S5, which features a wealth of new innovations. The manufacturer has just announced a partnership, with leading chemical companies, to standardize material profiles to provide enterprises using Ultimaker printers with access to a wide range of high-level engineering plastics and composites. Members of the alliance program include DSM, BASF, Sabic, Dupont, Owens Corning, Mitsubishi, Henkel, and Clariant. Dynamism is now showcasing the Desktop Metal Studio System and the Ultimaker S5 at the Rapid + TCT Show in Ft. Worth, Texas.